AdMediaKing is an India based online advertising network. AdMediaKing company started around 2003 but it launched its own advertising network in year 2013. The revenue model of this ad network is CPM. The best part is they supports international traffic. AdMediaKing ensures to offer competitive rates to the publishers. Publishers from any part of the world can join this ad network. AdMediaKing review every application thoroughly before approval. 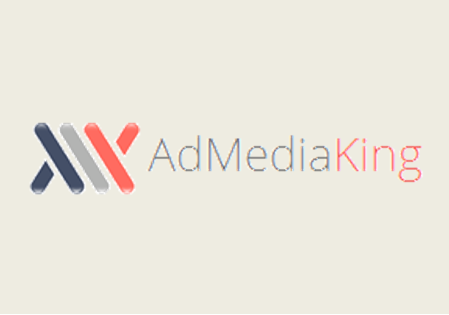 AdMediaKing accepts at least 1 month older sites. The site following best practices of web design and having great content can join AdMediaKing. The site must have at least 2 pages functioning. Broken pages or under construction sites are not allowed to join. The site must not host any objectionable content like adult or hacking. AdMediaKing doesn’t allow PTC or autosurf sites. AdMediaKing offers different sizes of display advertising formats. Being a publisher you can place 3 ad units ( banners or sliders ) on a web page for best performance. The sizes used are 468 x 60, 728 x 90, 120 x 600, 160 x 600 and 300 x 250. AdMediaKing publishers get paid on Net 15 basis. The payment options are PayPal, Check and Wire transfer. The threshold payment is $2 when paid via PayPal and $100 for Check. The payment terms may change for premium publishers. Indians get paid via check or bank transfer. AdMediaKing accepts blogs hosted on free hosting platforms like Blogspot and Tumblr. AdMediaKing publishers have dedicated managers to support them. The eCPM rates of non-US traffic may disappoint publishers. Sometimes the ads are irrelevant. Takes long time to approve sites. Don’t ever use bots or software to manipulate clicks. You may lose your account instantly. AdMediaKing advertising network offers referral program for its publishers. Publishers get 10% of the referred publisher’s income and 5% of the referred advertiser’s money. One shouldn’t compare AdMediaKing ad network with Adsense. Small publishers can have maximum advantage with AdMediaKing. The CPM is somewhat in the range of $0.12-$0.15. Sites having US and UK traffic convert well when compared to others. AdMediaKing is a genuine ad network and one can contact their support team for any query. Apart from ad earnings publishers can boost their revenue by referring others to AdMediaKing. Hope this AdMediaKing review helps publishers to get started. So grateful and bless to read post about AdMediaKing review – advertising network. It’s very great help for me. Thanks a lot for sharing. Low CPM Rates ! I am disappointed to use it. Sad to hear that it didn’t work for you. Try Adtomatik.